Home » Posts tagged "Reports and Responsibilities of Garments Quality Department"
Quality Reporting Responsibilities in the Apparel Industry: Garments quality controlling work throughout a garments factory, very sensitive work to maintain export garments quality. Reporting is the first job of Garments quality department rather than working; need to maintain lots of documents as their working reference. 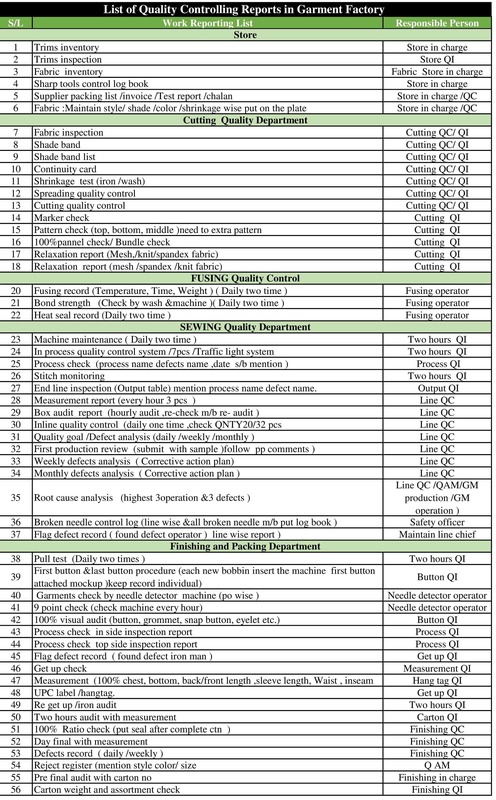 This article has a list Reports and Responsibilities of Garments Quality Department as given in the following.